These tropical rose Beatle larva, are big white larva that originally live in soil and feed on roots and other plant material. They are excellent fodder and breed nutrition for giant birds (like ostriches, toucan and hornbills) and bigger types of reptiles (pearl lizards), but also for small mammals like for example porcupines. 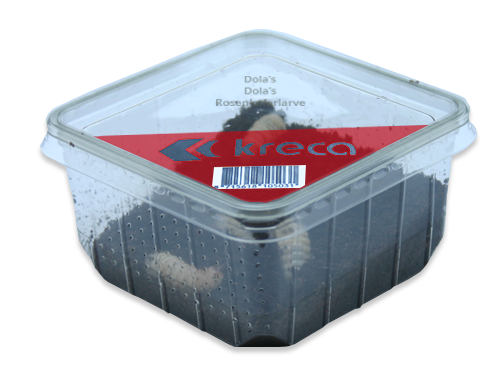 Dola’s are easy to keep in a container with potting compost (soil). Make sure to keep the soil damp. Dolas can be fed with small pieces of vegetables and fruit (for example carrot and apple).